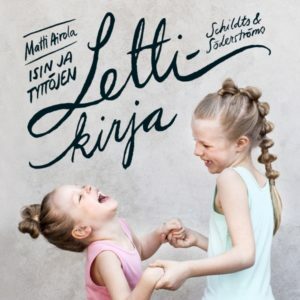 Matti Airola’s bestselling Dads and Daughters Braiding Book has been sold to Albatros Media in Slovakia. Albatros Media Slovakia belongs to the biggest publishing house in the Czech Republic, with an increasing share of the Slovakian market. Dads and Daughters Braiding Book has been previously sold to Germany (Frechverlag), France (Glenát), Poland (Media Rodzina) and Estonia (Paljasjalg). Its sequel, Dads and Daughters Braiding Book – Parties! has been sold to to Clavis (World Dutch) and most recently to Paljasjalg (Estonia).